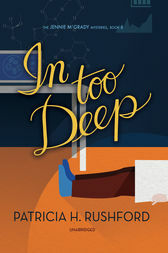 Jennie McGrady’s summer has just settled back into a comfortable lull when her chemistry teacher, Tom Mancini, turns up dead from a drug overdose in his lab at Trinity High School. A suicide note seems to close the case, but Jennie smells foul play—especially since a series of break-ins had been reported at the school—and her sleuthing uncovers some unsettling information. The hard part comes when she must convince police to investigate without implicating herself in the crime.